I decided to take the plunge and upgrade my Laptop to Windows 8. 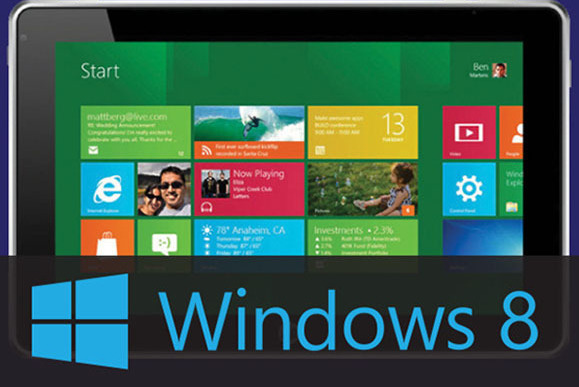 Windows 8 has been promoted as the most fundamental change in the Windows operating system since it was first launched. Given this fundamental change, was upgrading a wise move I wondered? So, is Windows 8, a substantial revolution in Windows from Microsoft with a simple upgrade path, or is it a headache for the average user who tries to upgrade to it? I should state that this post is not going to give you a feature by feature review of Windows 8. There are plenty of others around who have done that already, and in a pretty comprehensive way. However, shared here are my experiences and thoughts for anyone who is considering a Windows 8 upgrade. Was it easy, was it a disaster, and was it worthwhile? Microsoft have made the upgrade to Windows 8 pretty affordable. At less than £50 (ex VAT) to upgrade to Windows 8 Pro, it's clear that Microsoft are trying to ensure the take-up of Windows 8 is high. This should however be no big surprise, the Microsoft strategy (and even the company future) does rest on the success of Windows 8. In recent years Apple (iOS) and Google (Android) have both left Microsoft behind (in terms of touch interfaces). Although Microsoft has held onto it's dominance in the business/corporate market so far, the threat to Microsoft is that users become used to either iOS or Android for personal use and then wish to use their preferred operating system for business. I've personally started to see this happen with people I know considering using Apple Macs for their work as they have grown to like iOS on their iPhones and iPads. Prior to doing an upgrade my Laptop was running Windows 7. So, this turned out to be a pretty straight-forward upgrade as Programs and settings (as Microsoft promised) easily transferred to Windows 8 with no intervention. If though you are upgrading from Windows XP or Vista, Microsoft do state that you will 'need to reinstall your programs'. This I feel may mean the upgrade becomes a little more difficult and may put many casual users off from attempting any upgrade. You can check your PC's compatibility with Windows 8 by running the Upgrade Assistant at www.windows.com/upgrade. This provides system requirement details for the upgrade and allows you to download the upgrade assistant to check your PC's readiness for Windows 8. The Windows 8 upgrade comes with both 32bit and 64bit upgrade disks, so you can choose the upgrade you require based on the capabilities of your PC. I installed the 64bit upgrade. The upgrade took me just under 2 hours to perform from start to finish. This involved mostly leaving the laptop to do 'it's thing' in installation. But, there were 2 pieces of software that had to be uninstalled. These I would imagine would be common to most people performing an upgrade. Microsoft Security Essentials - I was a little surprised to find that Microsoft were telling me during the upgrade that their own product wasn't compatible with Windows 8! After a little research though I found that Windows 8 comes with it's own antivirus/antimalware product installed. You can though switch this off and run different virus software should you wish to. Bluetooth suite - As part of the upgrade I had to uninstall my Bluetooth software suite. This made me a little concerned as I imagined I'd be left without Bluetooth functionality! This was not an issue. Windows 8 does not need a separate software suite to manage Bluetooth connectivity, this come pre-installed within Windows 8 (click here for an article with more info). The above though were the only issues I encountered. Once I understood the reason for these, performing the upgrade was straight forward. After the upgrade, my settings and files were all transferred as Microsoft had promised. Technically the upgrade worked very well and I don't think anyone upgrading from Windows 7 should be daunted in the slightest with going ahead with the upgrade. But, what were my immediate thoughts on Windows 8? The new Start pages using the Metro 'Tiles' I like a lot (but I should add that I have a Windows Phone so the Live Tiles concept isn't alien to me). I believe that this is exactly what Microsoft needs for touch-screen interfaces and will allow them to compete head-on with Apple and Google. As well as giving the Metro interface for touch, Windows 8 retains the benefits of a desktop windows environment. This design-wise looks 'flatter' that Windows 7, but the functions I'm used to are all present. What is a change is that the old 'Start' button is now replaced by putting your mouse-over the bottom left corner of the screen to display the Metro Start page. There are also features I'm still mastering to bring up the 'Charms' menu (for settings and other functions), display of open windows, and running windows side-by-side. These I can see are designed for touch, and are new concepts for Windows users, and so this is a little strange at first using them with a mouse. I'm sure I'll get used to these with a little experience. Having both the Metro view and traditional Windows Desktop view is like having 2 different interfaces on the same device. Excellent I think if you work on a touchscreen device as a desktop and then take this away from the office for mobile working. Or, for personal media consumption as well as for work. But, I'm not entirely convinced it's needed if you are only using a laptop for work in a desk-top (and non-touchscreen) way. It might have been better for Microsoft to give you the default version you prefer the system to boot up in so you can just work in the Desktop environment if you wish. Finally, a word about Internet Explorer 10 that comes with Windows 8. Again, there are different versions of this for the Metro touch interface, and Desktop. How these integrate fully I'm not sure yet. But, what I can say is that Microsoft has promoted IE 10 as their fastest browser yet - and they are not wrong at all. The browser is much faster I've found than IE9 (as is Windows 8 in general compared to previous Windows versions). Overall, the upgrade for me was very smooth from a technical perspective. I can see there are benefits in Windows 8 and IE10 that made the process worthwhile, for me anyhow. But, I'm not 100% happy with some of the changes like removing the Windows Start button for Desktop working (this may just be that I'm not used to this yet). Having said that, the benefits in Windows 8 do out-weigh the negatives I feel, and I can see this will be excellent for touch screens. The report card for Microsoft from me for Desktop working though would read "good effort, but could do better with more work". I'm sure that is what we will see now that the first release of Windows 8 has been achieved. i-Business Resources (i-BR) are a technology and services company based in the UK. They provide a range of Internet technology software and service solutions for the Recruitment Agency market. Robert Streeter. Simple theme. Powered by Blogger.